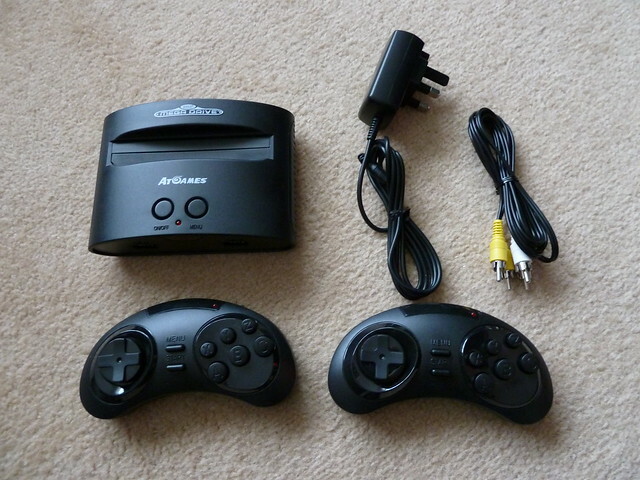 I have very fond memories of playing on my brothers Mega Drive and Master System back in the day, although at that point I was mainly a PC gamer on my VIC-20 and later my Spectrum +2, my parents took my brother down the Sega console route. With his birthday on the horizon, I was hunting around of a gift for him, and saw this little beauty. With it including 80 built in games, and a tiny little footprint, this looked like a perfect gift. Although I ordered within plenty of time, the courier company failed me, meaning I had to rush out, pay the premium locally so he could have his present on time. Sure enough, on the day of his birthday, the originally ordered console arrive. I could have sent it back, but after reading the box I was intrigued. I think the first thing to mention is that out of the 80 games built in, only 40 of those are actual Sega games, and the additional 40 are simply small games with the likes of Sudoku, hangman and games of that type. The cosole itself is tiny and light as a feather. I do realise I was a lot smaller when I previously used one of these, but remember them feeling like a lead weight. 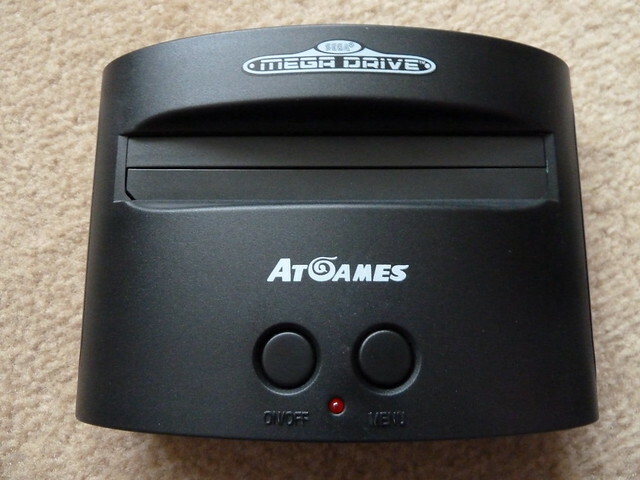 Although this has built in games, it also has the slot on the top to insert actual Mega Drive cartridges, I did however read a disclaimer saying ‘Not all games are compatible’ however I’ve yet to find a list of compatible games. 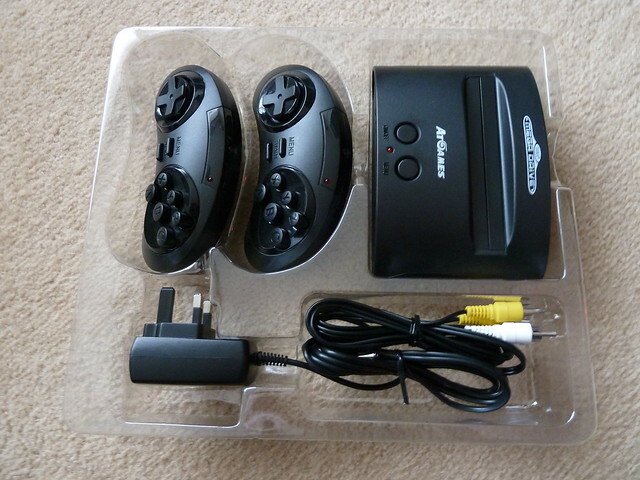 The console also comes with 2 wireless controllers which feel similar to the original ones, although a little less solid, and strangely they used infra-red technology, which becomes a problem if you’re too far away from the console, or somebody walks in from of the screen. 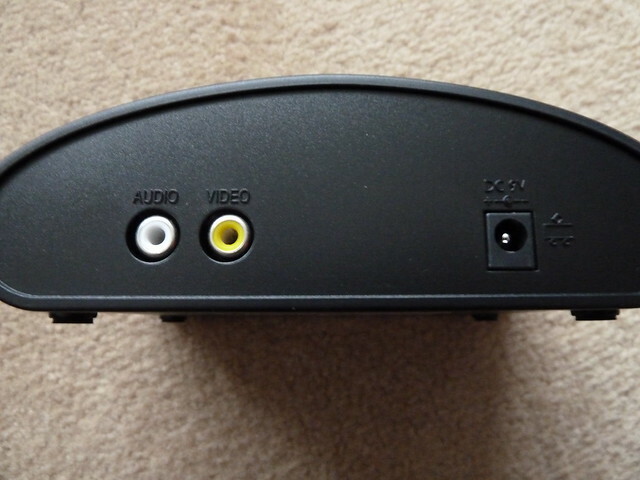 As a saving grace, there are 2 ports on the front of the console to allow you to plug in original wired controllers, if the wireless ones aren’t working for you. So the experience. You know what, it’s not bad, I was a little worried plugging it into my 60″ 4K TV, and expected a lot of ghosting, but it actually worked ok. I’m glad they kept to mono sound and didn’t try to up sample the graphics. 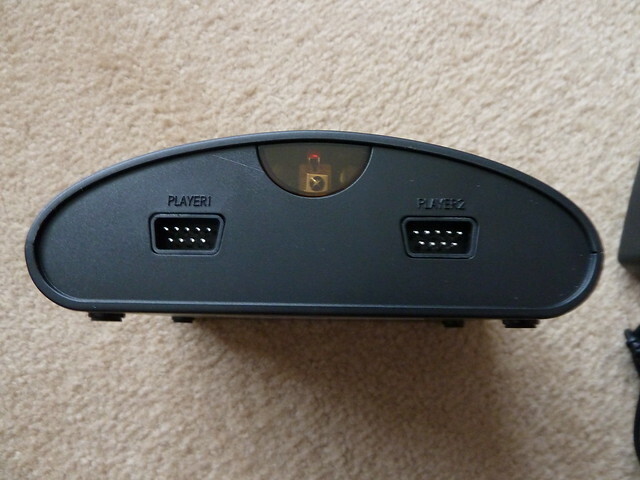 Gameplay wise, I tried a few games, Streets of Rage, Mortal Kombat, Sonic and Golden Axe, they all played as I remember, and actually sparked some good couch coop sessions. 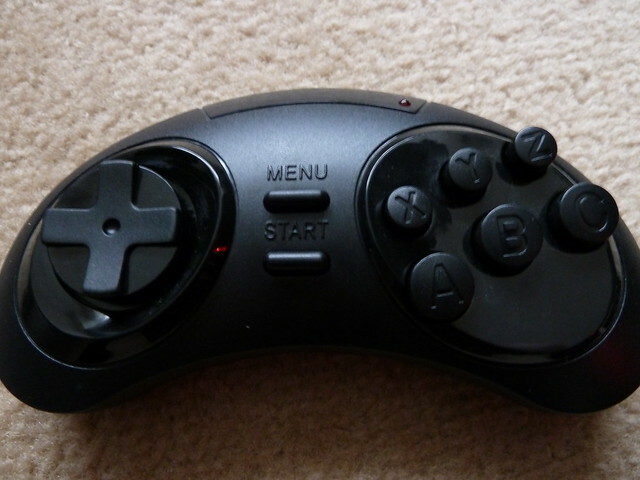 I wasn’t blown away by the wireless controllers, as there felt to be a little lag, so currently looking on fleabay for a wired controller to see if we can fix that. Although the device is pretty good, I’m honestly not sure how much use it’s going to get, maybe once silly season is out of the way, I might sit back and play some of the games I never got around to playing back in the day. 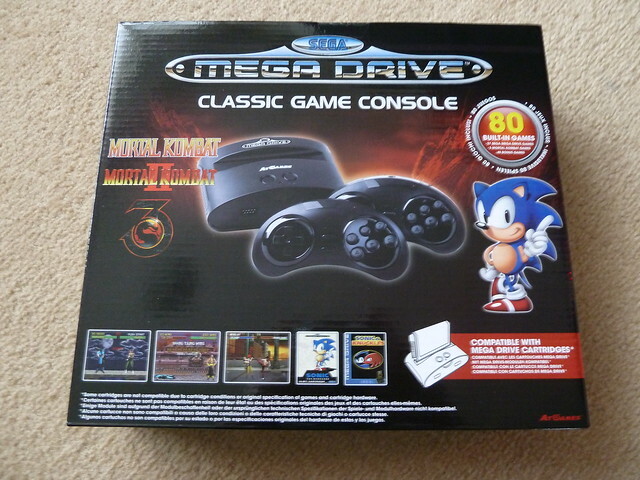 All in all, not a bad trip down memory lane, let’s hope Nintendo do one now, as being a SEGA man back in the day, there were so many games I missed on the NES/SNES.